The other day, someone asked me how long it takes for a vineyard to produce wine. For us, it took two years to find our family vineyard with all the appropriate physical and siting characteristics. We planted four years ago, and just this past year we took a small fruit harvest. 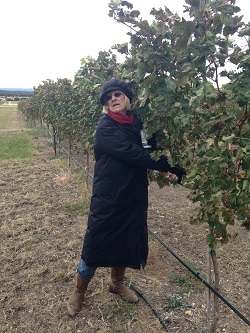 We were so pleased last year in August 2014 to harvest that inaugural fruit! The wine currently sits in French oak barrels resting and aging. Our best guess today is the wine might be available in another 18 months. Perhaps late fall of 2016. Indeed, 7 years to produce wine! The bottom line: there is nothing fast in growing wine! So, why do we often find ourselves in such a hurry to be tasting wine? As we rush along from place to place, person to person, task to task, and appointment to appointment, what is the rush to get through a wine tasting and race off to something else? For us, the best wines were always the ones we've shared with friends and family, often around the dining table with food. These are the times when we relax and slow down--savoring life and the rich experiences making everything worthwhile. In our tasting room, we often talk about the Four F’s: Food, Family, Friends and the Fellowship which naturally occurs when the first three are found together. 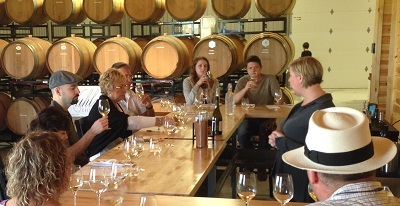 This is why our tastings are relaxed, seated experiences complete with food pairings and conversations. As Jeremy often says, “sip, savor and enjoy!” This, to us, is Vina Vita - The Wine Life! Give us a call, come on out and visit us. 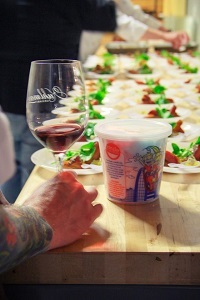 Step off US290 and slow down during one of our easy paced, nearly hour long tasting experiences and enjoy our wine flight with unique chef designed food pairing bites. It's a great opportunity to taste wine at the speed of growing... enjoy! Being "green" is not just a trendy-hip thing these days. Offering mother earth a friendly helping hand is becoming a necessity as the world population steadily increases, as does our waste production both in trash, and waste water. Here at Kuhlman Cellars, being green is very much part of our daily business. Everything from the plates we serve our Chef prepared food on, to the machine we use to sanitize our tanks, they are very earth friendly. Below is a list of things we do to maintain our steady track in keeping our planet happy. As you walk from the parking lot to the tasting room, you might notice the large compartmented wooden box sitting to your left near our garden, this is the compost bin. 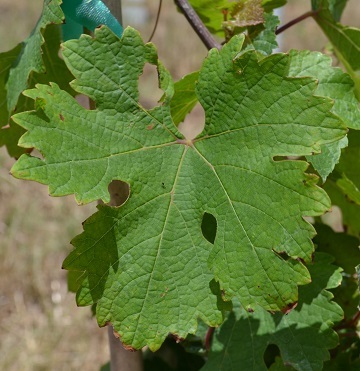 Grass clippings, leaves, paper products, leafy greens, crackers, and fruits all go into the bin and are eventually naturally broken down to be used for landscaping in the garden, flower beds and we will use what we have available for the vineyard. We chose compostable trash bags for daily use in the tasting room, to minimize plastic waste. Utilizing the compost bin enables us to use sugarcane food plates, paper menus, and napkins on a daily basis with little guilt. The rain gutters on the roof of the winery, as well as the drains in the cellar floor, divert water through an underground piping system to the pond located at the northeast corner of the property. This is a very low tech and efficient means of moving water. 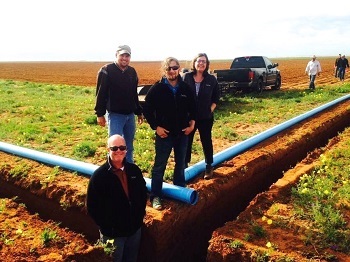 Here is a fun fact... One inch of rain captured via our rain gutter system, translates to approximately 10,000 gallons of water collected. Whoa! Our pond, once full, will be a peaceful retreat, an oasis if you will for guests to admire, and it will eventually offer irrigation capabilities for our vineyard, landscaping and garden. We simply could not call ourselves earth friendly if we did not practice good old fashioned recycling. 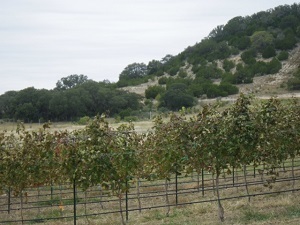 All of the empty wine bottles, wine boxes, and basically all glass and cardboard products are recycled using two recycling centers located in both Johnson City, and Fredericksburg, TX. clean and sanitize. This is not only better for the environment, but also for us humans as well. The boxes we use for shipping our wines are made in California using solar energy. Basically, the boxes are produced using a green method, and they can also be recycled after the wine consumer receives their wine. How is that for helping out the environment? It is a great responsibility to be gentle with our loving mother earth, all it takes are a few extra steps in the daily routine to help keep waste to a minimum. 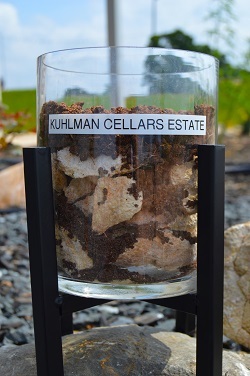 Please feel free to ask us anytime about our green habits at Kuhlman Cellars, we are always more than happy to share our practices with each and every one of you. Cheers to Vina Vita, the wine life. Dining out; I venture to guess that this innocuous phrase just evoked a passionate and well rendered memory of your last restaurant experience (for better or worse). 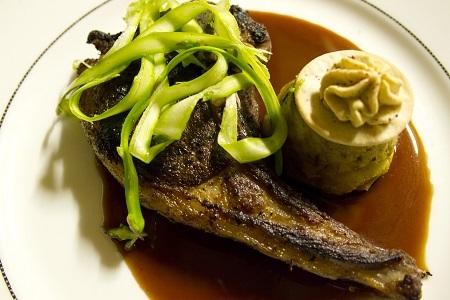 Meticulously designed ambience, well-seasoned service professionals and carefully constructed plates of culinary artistry are elements of the dining experience leaving diners elated- or infuriated when confronted with even the slightest missteps. A well paired bottle of wine is the great diplomat of your culinary adventure. As wine ages it endures pubescent awkward phases, breathes and undergoes a metamorphosis in the bottle, or glass, of Kafkaesque proportions. These complex changes give us a wine experience most often rewarding, but it is not uncommon that wine presents flaws. As a consumer you should not drink ‘bad’ wine and have the right to address issues of a detectable flaw with the Sommelier, server or retailer in exchange for an unaffected bottle. In a professional setting the server or sommelier will present the bottle prior to opening it. Check the label to ensure it matches the selection from the wine list with attention to the vintage-if it is not what you ordered, ask for an explanation. Upon opening the bottle, a small sample should be poured (1-2oz) and this is your opportunity to examine the integrity of the wine. Corked wine is the most common flaw presented to consumers. As early as a decade ago it was estimated 10-15% of natural cork was affected by the presence of a compound generated by mold found growing on wood (cork trees) known as Trichloroanisole (TCA). While that percentage has improved in recent years, the problem persists. When the TCA infected cork is in contact with wine it taints the product. How to identify: Did you sniff the cork? I’ve handled thousands of corks pulled from intensely flawed bottles only to find that cork smells like…cork. Smell the wine! When opened and in contact with Oxygen the wine will present a dank moldy smell similar to moldy wet cardboard or newspaper. 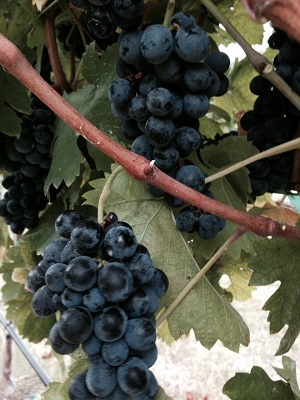 The musty characteristic will be found on the palate as well and the fruit will be diminished. Few wines are meant for long term aging. 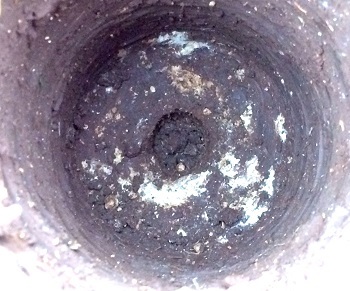 After time, exposure to oxygen begins to degrade the juice creating a chemical breakdown. This applies to wine both opened and unopened. White wines will appear ‘orange’ in color when too old. Red wines are more conducive to age, and older red wines will take on a ‘brickish’ hue. Opened wines begin the quick descent and begin to show degradation in an average of 3 days. How to Identify: Examine the color for hints of cloudiness or orange haze. 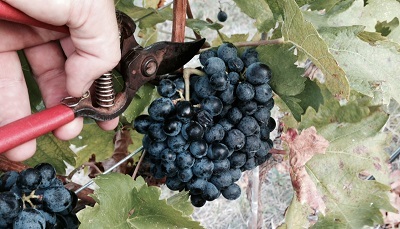 The fruit characteristic of the wine has become unpleasantly sharp much like sucking on a penny or the taste of blood. Wine has a delicate constitution and will become flawed if not properly stored. Ideally wines should be stored between 50-60 degrees. 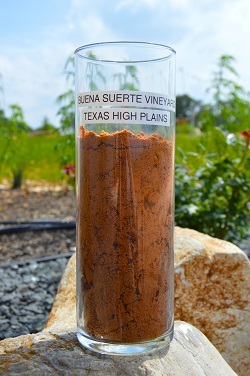 Exposure to high temperatures can destroy the composition of a wine in as little as 15 minutes. How to identify: Liquids expand when heated. The pressure of heated air can cause the cork to begin to push up out of the bottle creating a detectable ‘bump’ between the cork and bottle neck. The cork itself will show veins of wine staining from the bottom. The juice will take on an unpleasant ‘tangy’ note like canned or cooked fruit. It can create a heavy and one dimensional effect to the feel of the wine on the palate. Trust your instincts, particularly when you are familiar with the wine in question. Life is simply too short to drink bad wine! 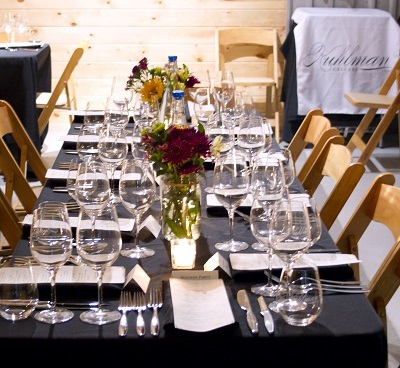 Kuhlman wines are now available at several locations in Austin, Houston and San Antonio. We thank these amazing venues for supporting Texas Agriculture and look forward to bringing wine closer to you! A complete, updated list is also found on our website. 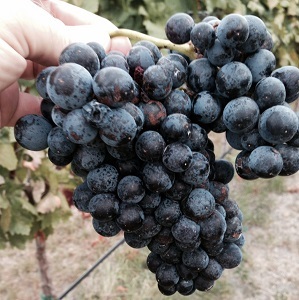 2014 was a very busy year for Kuhlman Cellars! We built the new estate, harvested the inaugural grape crop from the family vineyard and opened our winery doors on October 3rd! 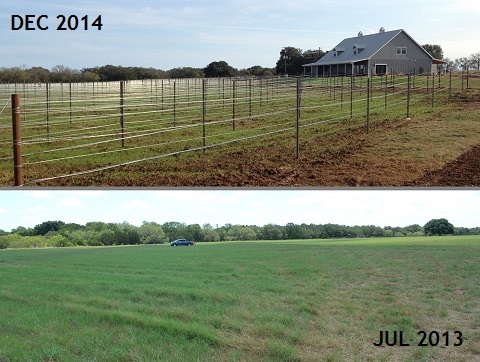 Looking back, it is pretty incredible to remember the winery estate was only a pasture last January and we started the actual construction in late May. The team did incredible work to build everything quickly, professionally and beautifully. 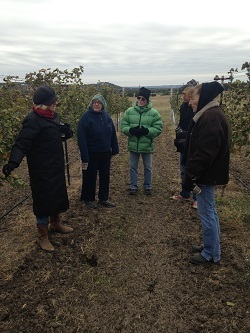 As of today, the vineyard trellising is complete and the winter cover crop is healthily growing. 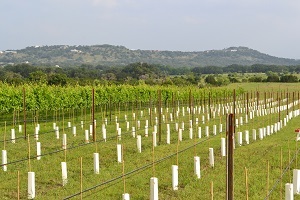 All told, we have just over 7.2 acres of vineyards, which translates into over 39,000 linear feet of trellis! 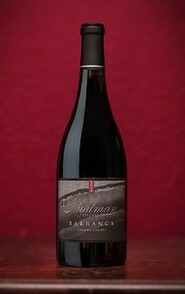 Our first Vina Vita wine club event is Saturday, February 28 where we will release the 2012 Barranca red wine. 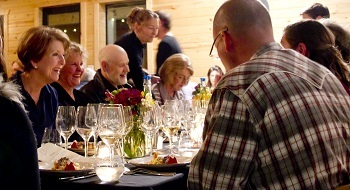 Join four wineries around Hye, Texas for an awesome progressive wine dinner with each course at a different winery and tour company transportation provided! 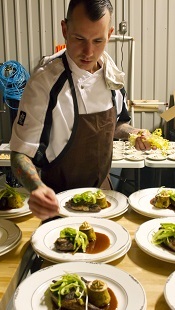 Kuhlman Cellars will present the appetizer course designed by Chef Josh Raymer and paired with both our Calcaria and Alluvé! 2015 promises to be an exciting year with many firsts still to come. We have a calendar filled with many Vina Vita Club events, bottling the 2014 whites in February, plus we will be planting the estate vineyards. We expect to release new wines throughout the year, so stay tuned for release date information. As always, we look forward to seeing you at the winery, so please stop by for a tasting with our new Winter Pairing menu, or simply come in for a glass or bottle. These sunny, and warmer, winter days are wonderful for relaxing on the patio and enjoying the richness of Vina Vita: friends, family, food (wine!) 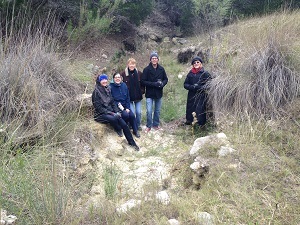 and the fellowship which occurs when you have all of those present! "Alluvé You" Valentines Wine and Almonds: Share a bottle of Alluvé paired with our special Herb de' Provence Almonds with your special someone this Valentines Day! Includes One Bottle of Alluvé, Two Red Wine Glasses, and two bags of herbed almonds. Herbed Almonds: Our "nearly famous" almonds are now available for sale! Enjoy a half pint jar filled with these incredible almonds and pair with your favorite Kuhlman Cellars wine. The nice glass jar is reusable, so bring it back to the winery where we will refill it at a discount. Enjoy! When I was a girl, my grandmother and I spent hours around her kitchen table plotting our holiday activities and indulging in the warm sweetness of freshly baked sugar cookies. During the long holiday season in Michigan, few things evoked the excitement of Christmas more than the crisp flinty smell of freshly fallen snow. My grandmother would dress me in layers of cold protection and send me out to forage for a bucket of pure snowflakes to make my holiday favorite; Snow Ice Cream. With a simple recipe of condensed milk and vanilla extract, she brought my seasonal delight to life with a wave of familiar and comforting vanilla. Carefully un-wrapping me from my shell of wet wool warmed by my breath, winter down and leather mittens she indulged in the sticky sweetness of German Riesling. I would steal sips and swoon at the silky liquid candy. These rituals are still easily brought to mind by comforting smell of a warm winter wool scarf and with every glass of Riesling enjoyed in my adulthood I am transported back to those long holiday afternoons. What is wine if not a scrapbook for your nose? Few imbibements engage as many senses as wine. Sight delivers critical information about the age and condition of the wine but regales us with myriad of colors inspiring palettes found in artwork, fashion, and interior design. We associate familiar sensations and sounds of pouring a glass of wine with celebration and relaxing. The heft of a bottle, the touch of a slender glass stem and the sound of a cork popping all help prepare us to enjoy what we are about to drink. This leaves us with Taste and Smell, the two most rewarding elements of your wine experience. The sensation of ‘flavor’ is a synergistic combination of taste and smell. When you cannot smell you taste very differently and in a diminished capacity. Test yourself by chewing a Jelly Bean while your nose is pinched. Can you recognize the flavor? Try it again, but open your nose midway through the process. When do you start to recognize the flavor of watermelon, cherry or black licorice? I am frequently asked “At what point do you add the other ingredients or flavors to the wine?” The answer is never. The heart of a complex and flavorful wine is a continuous series of complex chemical reactions creating scents unique to the wine through the result of fermentation. 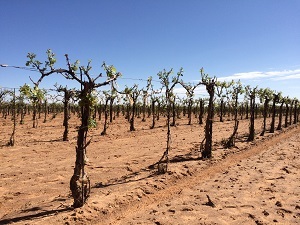 While individual varietals (grapes) will have commonalities, the conditions in which it is grown and the winemaker’s process will influence the resulting flavor profiles. Your own personal body chemistry also plays a role in how you perceive these scents, which makes this process subjective by definition. How do you develop the ability to find these scents and flavors? Wine is the ultimate example of Scent-Memory. Sommeliers have made careers of waxing poetic about the dozens of unique flavors found in a singular glass. But, it is each individual’s ‘scent-memory’ that drives our understanding of wine. Recent Research has shown when areas of the brain connected to memory are damaged, the ability to identify smells is actually impaired. Let the process come naturally and try to ‘remember’ what you smell: a watermelon Jolly Rancher, a slice of Mom’s famous Cherry Pie or a new pair of leather boots. Open up a spice rack and put a name to those familiar warm smells. There is no wrong answer when it comes to describing the flavor of wine, never let anyone tell you what you perceive is incorrect. The most important aspect of wine is simply enjoying it. During this season of Celebration, I challenge you to explore your ‘scent-memories’. Celebrate your past while creating the mental map for describing wine flavors yet to be savored. Find your True North wine, your sentimental ‘Grandma’s sweet Riesling’, or make a new memory linking a particular wine to a special time and place. Most importantly enjoy what you drink, don’t drink what you don’t enjoy and bask in the bouquet. 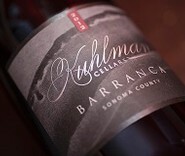 2012 Kuhlman Cellars, Roussanne- This Southern Rhone beauty has found a true sweet spot in Texas. With an aromatic bouquet of honeysuckle and jasmine, the intense stone fruits coat the palate with a honeyed viscosity. The body offers complex herbaceous characteristics and a long finish. 2012 Texas Red (49% Merlot, 15% Cabernet Sauvignon, 15% Carignan, 11% Cabernet Franc, 10% Grenache)- With a wonderful nose of baked cherries, sweet baking spices and roses, the body does not fail to wake the palate. Layers of earth, leather and cinnamon balance with the fresh red fruit and supple, fine, tannins.